Although the Chief Nursing Officer (CNO) is both necessary and critical to any hospital organization, it may be surprising to recognize that little has been published about why this is true. The intangible factors associated with the success or failure of the individual fulfilling this daunting role is poorly understood. This individual is leading more than 60% of the manpower of your organization and is responsible for the tone, tenor, and work production of your primary product, patient care. 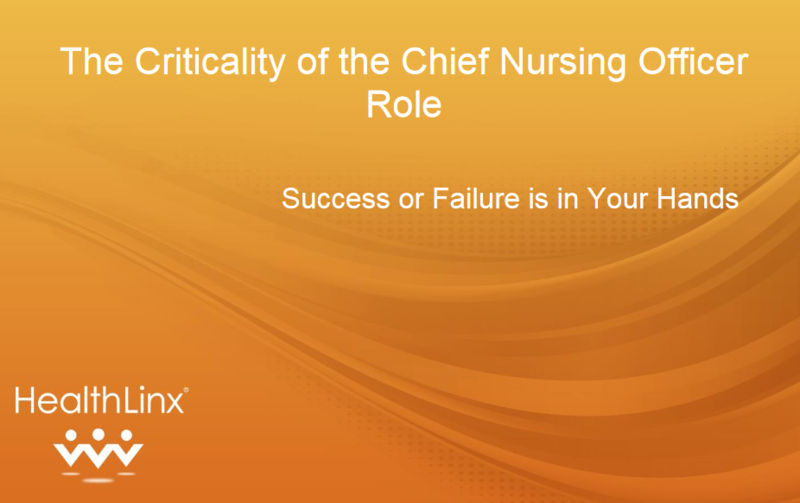 Jones, Havens and Thompson (2008) published the results of their national Chief Nursing Officer survey (a sample of 667 U.S. CNOs), revealing a workgroup in turmoil that in many ways reflects the larger instability of executive leadership across the healthcare system. Although many CNO respondents indicated that their current position was satisfactory and relationships with colleagues were strong, the CNO’s personal history showed that 13 percent of the respondents had left a position in the past two years, and 25 percent had left a position in the past five years. Of those who had left a position, about 25 percent reported that were asked to resign, were terminated, or otherwise lost their positions involuntarily. This 25 percent general turnover was substantially less than the 62 percent turnover reported in 2005 by VHA (Voluntary Hospitals of America). Both numbers are distressing and reflect the greater volatility in this role.